Blade Length: 114 x 1"
Trying to find a band saw that can do it all is difficult, especially if you’re budget conscious. A band saw that can cut the hardest metals on the market without sacrificing efficiency can get costly. If you’re looking for a reasonably-priced sawing machine that can handle some of the toughest jobs out there, the Trajan 916 could just be the saw you’re looking for. 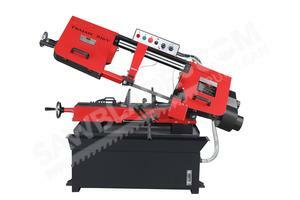 The Trajan 916 is a sawing machine designed from top-to-bottom to prolong blade life. 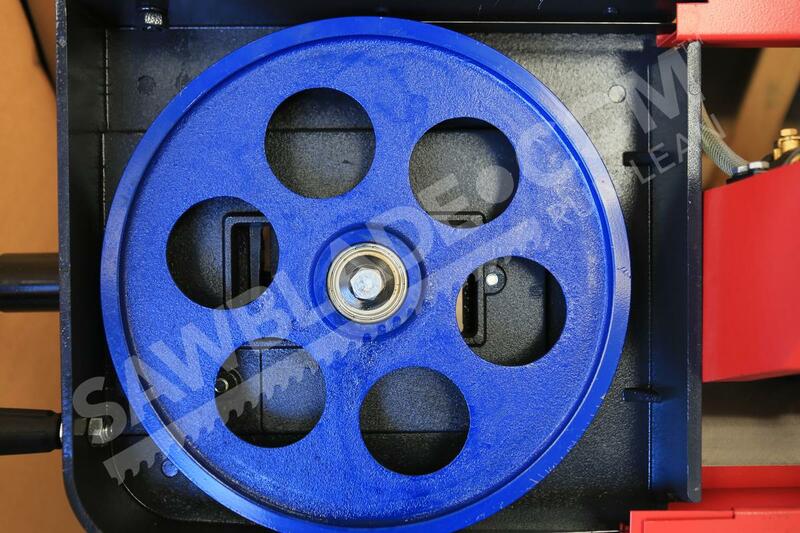 It has a very sturdy design, and, thanks to its carbide guides with roller bearings, it can absorb vibration very well. Less vibration means straighter cuts and less wear and tear on the blade itself. The guides also ensure that you use the Trajan 916’s cutting capacity to the fullest. When equipped with a carbide steel blade, it can cut some of the hardest metals, like nickel alloys and aerospace steels. 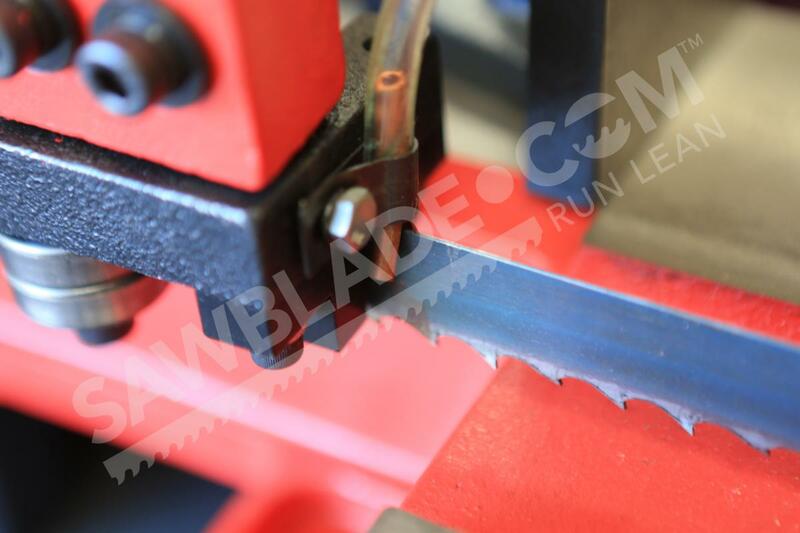 This combination of features means you’ll be able to save more money per cut than other band saws on the market. Enhanced blade life isn’t all that the Trajan 916 has to offer. The Trajan 916 also comes with a 2 horsepower engine that allows it to be run on about 50% of the energy that band saws typically run on. An infinitely variable speed system comes standard with the machine and allows operators to cut from 95 to 402 fpm. This range mean operators have an extreme level of control – one that typically isn’t found in saws at this price range. For quick and easy clean up, the Trajan 916 also comes with a built-in coolant system and a chip brush that keeps the saw blade cool and clean. While the Trajan 916 is an ideal saw for many consumers, there are a few things to consider before making the purchase. The first is its large size. This saw’s considerable bulk makes it sturdy machine tool. The Trajan 916 is a heavy duty saw that can handle many of the jobs in an industrial fabrication shop. If you are interested in purchasing a Trajan 916, or have any questions regarding the saw, please contact the sawblade.com team today. Choose the Trajan 916SV when you need a band saw that offers operators control and convenience. 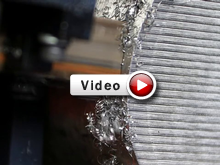 This cutting machine is engineered to perform with high efficiency in a variety of environments. The Trajan 916SV is built with durable materials that help reduce vibration, improving performance and helping the band saw to function efficiently. 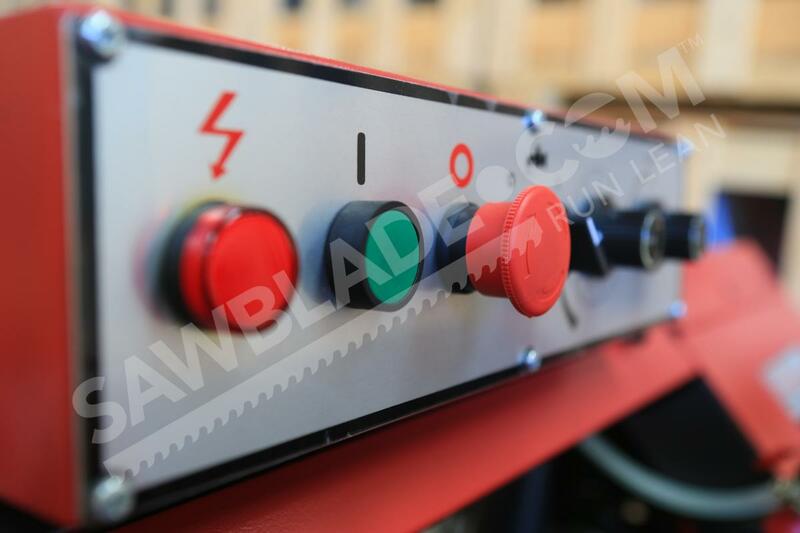 This cutting machine was built with operators in mind: its control panel is located on the top of the saw so operators can watch the cut as it occurs. This saw makes quick, precise cuts and helps projects run smoothly. The Trajan 916SV is equipped with bearing carbide blade guides. 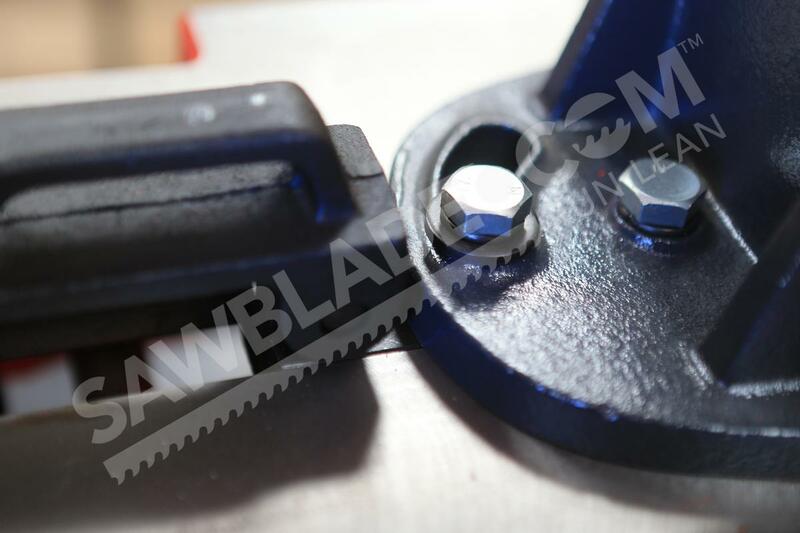 Like the heavy gauge steel saw head, these guides protect the band saw blade by reducing vibration. They also contribute to the saw’s ability to make precise cuts. A coolant system also comes standard on every Trajan 916SV band saw. The right coolant also supports band saw blade protection. It washes chips away from the cutting surface and keeps the blade at an appropriate cutting temperature. 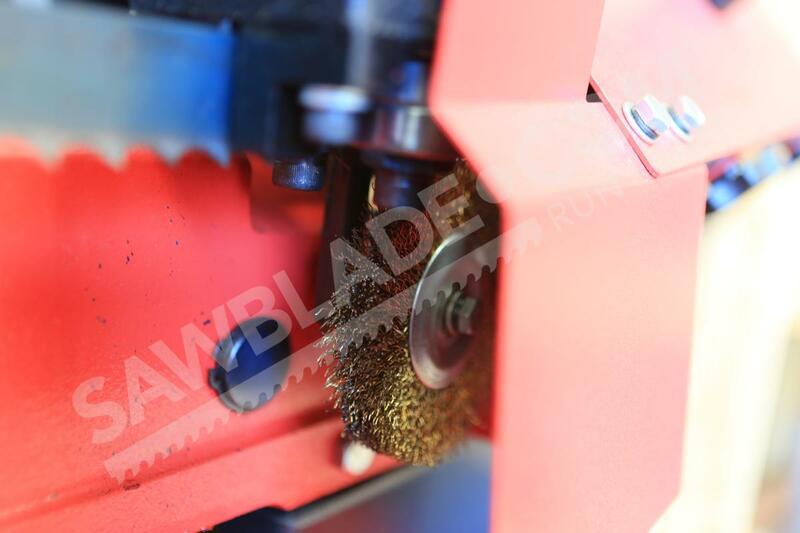 The chip brush also helps bush chips away from the band saw blade. Each Trajan 916SV comes standard with a laser indicator that helps operators make precise cuts quickly. It also has a hydraulic tension meter.